They are two of the most recognizable medical experts on television, but they have never gotten together like this before. Dr Oz and Dr Sanjay Gupta have spoken about everything from football head injuries to creamy turmeric tea to prevent Dementia, but this time they sat down for a one-on-one conversation that included juicy details about how a Black and Decker drill was used in Iraq for a soldier in need of brain surgery. 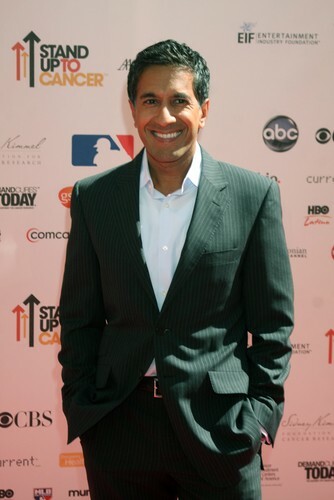 Dr Sanjay Gupta is chief medical correspondent for CNN and is also the author of Monday Mornings, a novel that is becoming a TV drama. They discussed Dr Sanjay Gupta in Iraq and even some of his guilty pleasures. Dr Gupta, a highly trained brain surgeon, is also an experienced journalist. He talked with Dr Oz about how the dovetailing career paths have led to some life-changing experiences. While in Iraq, he encountered a soldier with a critical head wound. He switched roles from reporter to surgeon to offer his expertise, but the field was not prepared for such intensive surgery. He improvised, using a Black and Decker drill bit to perform brain surgery on a soldier, who was then airlifted out of the danger zone for further treatment. Two months later, Dr Gupta got an update on the patient. The soldier had some weakness in his left hand, but was otherwise in good shape, which Dr Sanjay Gupta thought was remarkable given the circumstances of his injury and treatment. Dr Sanjay Gupta has also added “novelist” to his crowded resume, writing the book Monday Mornings, about mistakes that can be made in hospitals and how doctors respond to them. This is discussed behind closed doors, but the public may not know much about how often mistakes occur in hospitals. Doctors do learn from them, and Dr Gupta said he used his life experiences to help tell the fictional stories in his book. He said it is important for doctors, like everyone else, to learn from their mistakes. Dr Oz had a few fun rapid fire questions for his colleague. Here is what we found out about Dr Sanjay Gupta.